(OPride) – In early 1960s, Oromo dissidents from the Bale province in southeastern Ethiopia organized a small band of combatants to end the repressive and exploitative Amhara settler rule and the unscrupulous expropriation of Oromo land by absentee landlords. It proved to be one of the biggest landmarks in Oromo people’s struggle for freedom and equality. As noted in Ethiopia: Power and Protest by Gebru Tareke, the Bale province was only incorporated into the Ethiopian empire “in the late 188os after a brutal campaign mainly directed against the Awetu and Rayitu of Arsi Oromol clan.” Even then, Tareke contends that there was little cross-cultural contact between the chauvinistic Amhara-christian northerners and the predominantly Muslim Bale Oromos. The launch of Bale uprising, in early 1960s, by revolutionary Oromo fighters under the leadership of General Waqo Gutu Usu marks a major turning point. It signifies the beginning of a coordinated Oromo armed resistance to unshackle the masses from Ethiopia’s feudalist and absolutist rule, according to Hangasu Waqo Lugo, 58, who joined the movement at a tender age of 8. 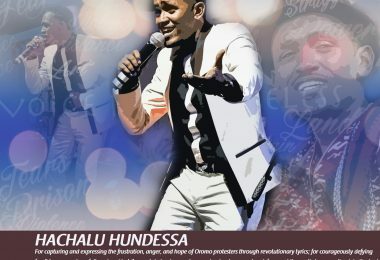 This extraordinary decade – otherwise known as the Sixties – saw tremendous social transformation among the broader Oromo populace including the founding of the Macha Tulama Association, the birth of Afran Qallo musical troupe, and several disconnected resistance movements around Oromia, the Oromo homeland. The methods may be different but the grievances that spurred Oromo resistance in various locales were the same: to see an end to the feudal lordship which had usurped their land and dispossessed the peasantry. The Oromo, Ethiopia’s single largest ethnic group, make up about 50 percent of 92 million Ethiopian population. To commemorate the 50th year of this movement’s beginning and its far reaching legacy, Oromo activists are organizing a grand event on Oct. 20 at the University of St. Thomas in Saint Paul, Minn. 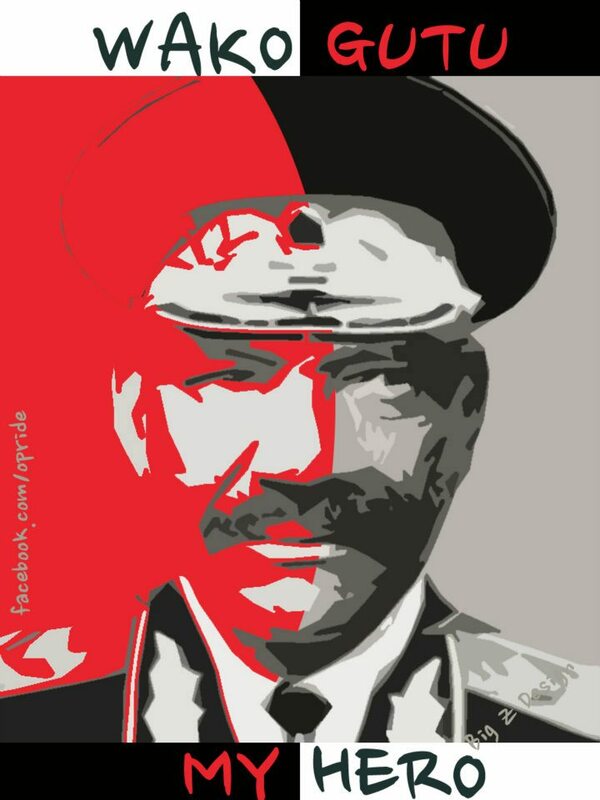 While many of the movement’s pioneers, including its leaders General Waqo Gutu, Haji Adam Jilo Webo, Musa Bati and countless others have passed away, next week’s event is expected to feature, for the very first time, prominent revolutionaries like Colonel Aliyi Chiri who ignited the flame of Oromo emancipation. A watershed event in the history of Oromo struggle, the Bale Oromo movement began with a simply motto: to uproot injustice for once and all, or raise a generation of revolutionaries to fight on. The rallying cry, which captured the imagination of a whole generation, was the seizure of farmland back from feudal landholders and making the state cognizant of the masses growing social and political discontents. The start of a guerilla warfare against a heavily armed feudal state did not have an auspicious start per se. First, this was unthinkable considering the fact that Haile Selassie was regarded as Elect of God and the whole country prostrate before him – as if in worship – let alone challenge his regime with a poorly equipped band of a peasant army. Second, the largely uneducated militants did not have access to modern weapons or military training. Rooted in local grievances, the movement weathered early setbacks to become one of the long drawn-out armed confrontations in Ethiopia. Historical accounts differ, but sometime in the early 1960s, ­Waqo Gutu and few companions embarked on a mission to neighboring Somalia to acquire military training and modern weapons. Shortly after, they returned to Madda Walabuu, about 600kms south of Addis Ababa, Ethiopia’s capital, to militarily challenge feudal landlords. Incidentally, this makes Madda Walabuu – the cradle of Oromo civilization – also the birthplace of modern Oromo armed resistance. The Oromo rebels, even if poorly trained, registered early momentous victories against Haile Selassie’s imperial army, the largest in all of sub-Saharan Africa at the time, forcing the regime to redouble its offensive. According to Lugo, one of the organizers of next week’s commemorative event, several subsequent battles took place in Oborso, Madda Walabuu, Welmal, Dayyuu, Cirrii, Hangeetu, Dalloo Bunaa, Bulluq, Harana, Malka Amana, Saweena, Gindhir, Bidiree, Biddime, Shaawwee, Meexxii, Barbaree, Rayitu, and etc. In one of the landmark battles at Malka Anna near Ganale River in 1963, the Oromo combatants took down two military helicopters using a vintage non-automatic rifle called Dhombir. Hence, the period from 1963 to 1970 is locally known as “Towra/Sowra Dhombir” – the Dhombir war – after the gun used by Oromo fighters. The battle of Dhombir at Malka Anna was critical in that the Oromo rebels were able to capture and take a lot of weapons from the enemy – boosting their defensive capabilities. ‎The band of rebel fighters proved their mantle. Forced to the wall, they fought like lions and to the death to defend their children, wives, and cattle. Waqo Gutu, the legendary leader of Oromo armed resistance, was born in 1924 near Madda Walabuu, at the village of Odaa. A member of traditional sacred Oromo spiritualists, Qallu, he grew up witnessing the dispossession of Oromo farmers, the heavy taxation paid to the state, and the humiliation of Oromo people as second-class citizens in their own homeland. ‎By custom, a Qallu was not supposed to raise arms. His doing so spoke of the depth of grievance and desperation. 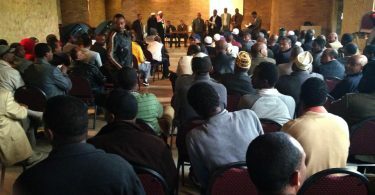 One key aspect of this movement absent from the mainstream Oromo literature is the movement’s broad support base among the Borana, Guji, Sidama, and Somali pastoralists. At the height of this movement, the Oromo fighters controlled or made vast swaths of land in Bale and Sidamo provinces virtually ungovernable. By the end of that extraordinary decade, unable to squash this generational revolt, Haile Selassie sought to personally negotiate an armistice to end the Bale Oromo uprising. In 1969, Somalia cut off military aid for the rebels making it difficult to sustain the campaigns. A year later, the emperor travelled to Bale to sign a truce with the rebels where he also appointed two Oromo generals Wolde Selassie Baraka and Jagama Kello as provincial governor and military commander to pacify Oromo nationalist sentiments. The Bale Oromo uprising along with other disparate upheavals elsewhere in the country, no less the student protests of 1960s, served as “the prelude to the 1974 revolution which swept away altogether monarchical absolutism and feudalism,” according to Tareke. The Dergue regime, which inherited the emperor’s rule by promising social economic and political changes, largely maintained the the imperial ways and structures of the Ethiopian state. While the rest of Africa saw a radical political reformation in 1970s, with almost all countries gaining independence from their European colonial masters, the marginalized colonial subjects in Ethiopia saw little change. Oromo revolutionaries would only have a window dressing, including the appointment of few governors who spoke Afan Oromo and the rural land proclamation of 1975 which sought to redistribute the land formerly held by feudal officialdom to the peasants. Absent satisfactory political changes, Waqo and his comrades reignited the torch of their struggle against autocratic state, structural and otherwise. 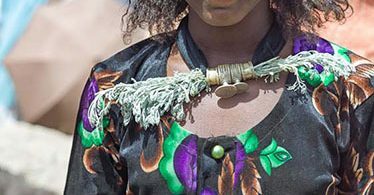 Five decades later, the Oromo movement have achieved several irreversible gains: the adoption of Afan Oromo as a working language in Oromia; a state of Oromia with clearly marked borders; the Oromo today doesn’t have to pay hefty prices for court interpreters; the Oromo culture and art is being revitalised anew. In spite of these achievements, the Oromo remain the most persecuted political group in Ethiopia. 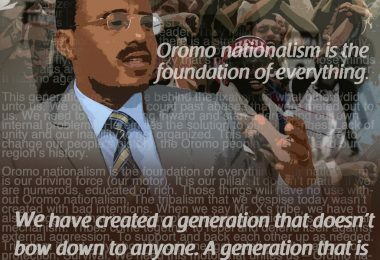 For the victories already won and unwon battles that require a steadfast commitment of today’s youth – the ever resourceful and indomitable Qubee generation – the Bale Oromo movement shines as a bright example of Oromo resistance against political oppression, cultural subjugation, and economic exploitation.